I’m not really a fan of Wonder Woman, I think, at least not in this incarnation. I’m not fond of the character designs, except maybe for Strife (but she reminded me of someone else; maybe a Neil Gaiman character?) 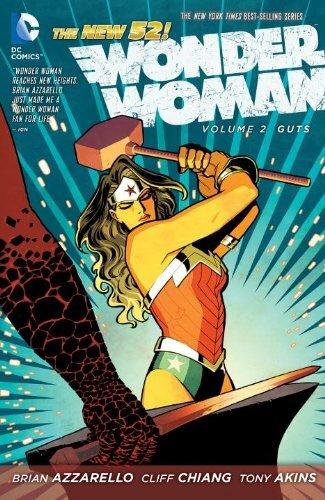 and Wonder Woman herself, and the plot just… Nah. I can take some tweaks to my mythology (hello Thor), but this was strangely closer to the actual mythology and further from the spirit of the mythology. Or something. The bickering among the gods, Hera’s jealousy, etc — it all makes sense within Greek myth, but they seemed cardboard cutouty, which Thor and Loki do not.